in different fields of study for Bachelors, Masters, and Phd. you can apply for BS - Bachelor of Science, BBA - Bachelor of Business Administration, BSCS - BS Computer Science, BSCE - BS Computer Engineering, and BSIT - BS Information Technology, MS - Master of Science, M.Phil - Master of Philosophy, MBA - Master of Business Administration, and MSCS - MS Computer Science, Phd - Doctor of Philosophy, Phd Computer Science. 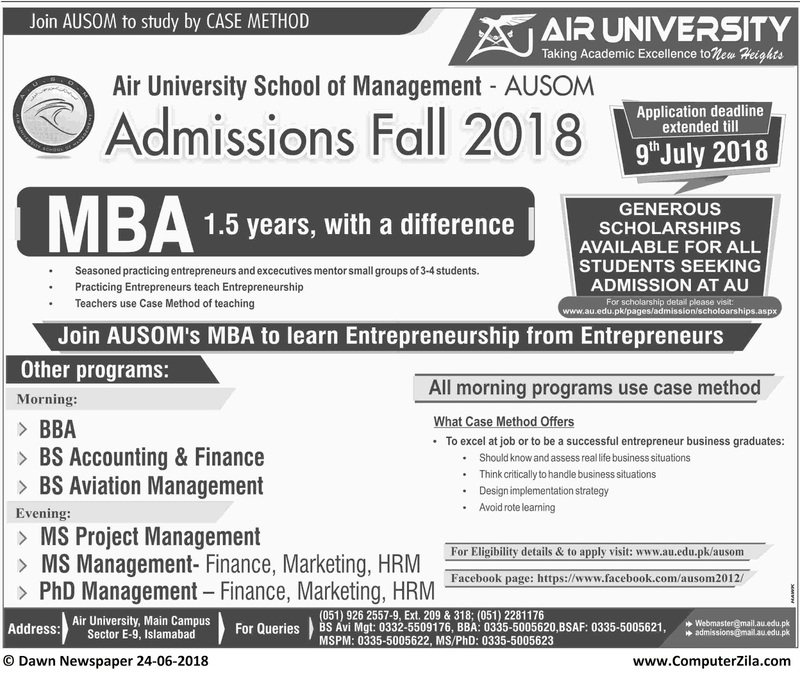 All Programs at Air University are accrediated by HEC, PEC, and NBEAC, Air University offers admissions in 5 new programs. 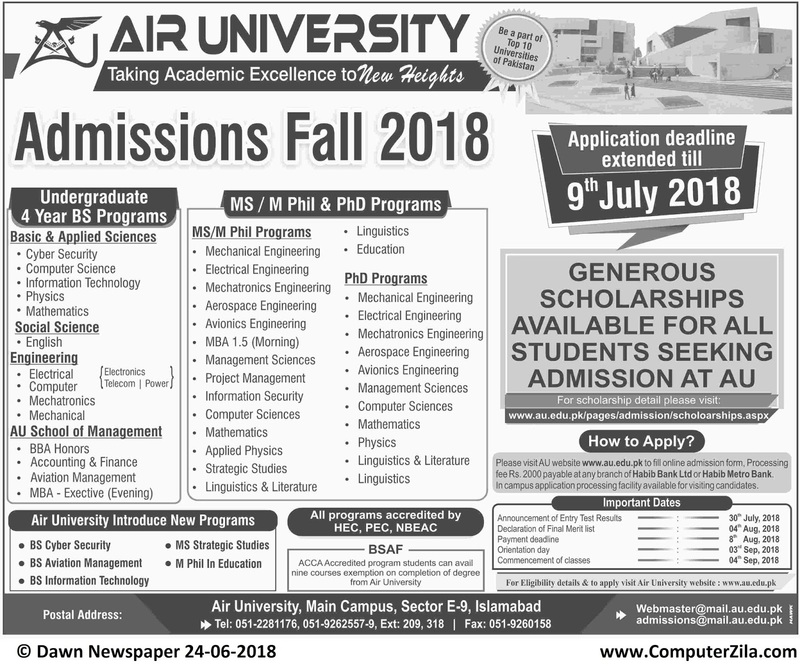 University Address Air University, Main Campus, Sector E-9, Islamabad.